Mr. Paine’s review appears in the Napoleonic Historical Society Newsletter Book Supplement of November 2014, which is normally available only to Society members. The review is fully reprinted below, with the Society’s kind permission. This is a work of fiction, but it doesn’t read like one. The author is a serious Napoleonic historian, well read on the subject and well informed about the minutia of life in this period. She calls her tale a ‘plausible whopper’ but the emphasis should be on the word ‘plausible’. There are no romantic flights of fancy here, but rather a thoughtful and totally believable account of what might have happened had Napoleon escaped from St. Helena to America. The story gets much of its authenticity from its incorporation into the narrative of private letters, official government correspondence and newspaper articles, both real and imagined. The author weaves these threads together into a rich and convincing tapestry, and does so with such subtlety and skill that the reader often finds himself wondering just what parts are real and what parts are not. The cast of characters is large and comprehensive, and includes nearly all of the major figures of the age. Only a few minor characters are invented. The author patiently reveals the personalities not only of Napoleon and his entourage, but of the political figures back in Europe who are watching the Emperor’s progress in the New World with more than a little trepidation, and what we see tallies closely with what we have read in the historical accounts of the period. Considerable interest is added when the Napoleonic characters casually encounter a smattering of Americans of the time who are not usually associated with Napoleonic history, such as Stephen Austin and Jim Bowie. 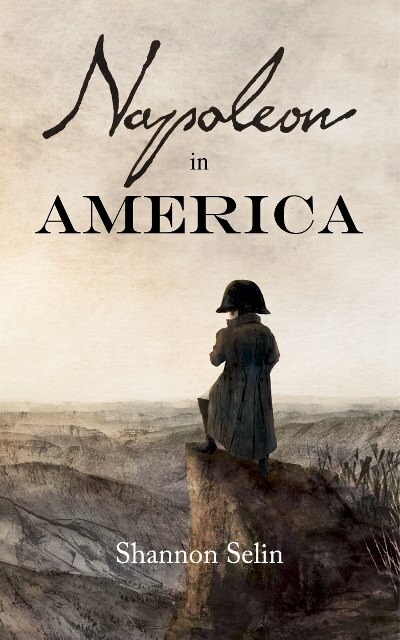 Readers will particularly enjoy Napoleon’s comments and observations as he makes a Toquevillesque tour of the young United States. There are few things that escape his attention and he is characteristically sharp and pithy in his judgments of what he sees. The readers most likely to be disappointed in this book are those looking for a light action adventure story or historical romance, as there is little of that here. Ironically, the readers most likely to appreciate this book are the ones most likely to toss it aside because it is fiction, namely the serious historians. Yet those who get past their misgivings and take the time to savor it will come to appreciate the cleverness and wit with which an author who is deeply knowledgeable about her subject can turn Napoleonic history on its ear. Scholars who are acquainted with the diaries, memoirs and letters of the Napoleonic period will undoubtedly smile with quiet delight as the pages unexpectedly reveal a familiar letter placed in a new context or a tidbit of Napoleonic history cleverly brought into a new focus. The book ends on an open-ended note in 1823, leaving plenty of room for at least one sequel. I suspect this is the beginning of a series that will keep us entertained for some years to come. Shannon Selin is an author of wit and grace, well-grounded in Napoleonic history. 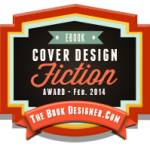 Readers who appreciate these qualities will definitely enjoy this book. If you are interested in the Napoleonic era, the bi-monthly Napoleonic Historical Society Newsletter and regular Book Supplement are well worth the Napoleonic Historical Society’s modest membership fee. The purpose of the Society is to study, share and stimulate interest in the history of the Napoleonic period. Members’ interests run from the general to the specific, and cover all aspects of the age: art, politics, society, fashion, science, war, personalities and, of course, Napoleon. You don’t have to be an expert to join this welcoming, lively group, and you will be among friends. For details, visit the Napoleonic Historical Society website and check out the group’s Facebook page.